This open source house was made in all wood and the best part is: It’s affordable and anyone can build it! The French firm Studiolada Architect is one of a kind. In order to make a sustainable and relieve the superfluous and disposable practices, this firm unveiled its first open-source house in Baccarat, France. This sustainable house is just over 1,200 feet and includes a separate garage. As you can see, this design project is a sight for sore eyes. Made to be excellent, affordable and sustainable this is the proof that sustainable design is here to stay. With a lot of open spaces, this sustainable house was made to be as cost effective and energy-efficient as possible. The open layout includes the living room that opens up to a spacious terrace and private and gracious yard. Sustainable materials such as cellulose wadding and wood fibers were even used to insulate the home. Using concrete with wood panels supporting it, this home interior design is covered in wood from floors to ceilings. The wood panels create a clean, minimalist interior that is both homey and inviting to anyone. Large glass doors and panel provide an optimal natural light to the interior and connects the home to its natural surroundings. We love unique wallpaper designs. We think it’s a great inspiration to every home. You can apply it and love it and when you’re tired of it, you can just take it off and try another one. These materials have lots of benefits and we believe they are trendy, sophisticated and outstanding. Get inspired! 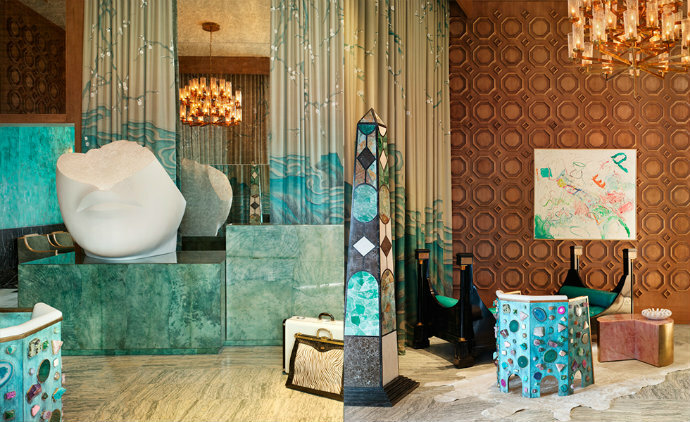 Calico Wallpaper created a brand-new collection especially developed during iSaloni that it’s the real proof of art. The wallpapers are extremely worked, they’re handmade and they’re bidimensional. White is the main color and the piece transmits us sophistication and modernity. The charismatic Herbie Standing Lamp was inspired by Herbie Hancock’s great personality. Very interesting with bright colors and it will surely bring joy to any setting. Designed by Delightfull, this piece offers the possibility to regulate its height and direction at any time. It’s handmade in brass and its lampshade in aluminum. Marble is the highlight. Murals Wallpaper believe that marble is here to stay and shows no sign of fading. The designs are handmade and made-to-order and its applications are diverse. Different colors and sizes bring a completely unique touch into every home. Try to combine them with mid-century modern designs and wait for the result! The American brand Chasing Papers developed a collection inspired by tropical designs. These are specifically banana leaves and the wallpaper has vivid colors like pink and light blue. We are huge fans of floral and tropical prints and we are sure that you’ll love this new trend. Get inspired by this brand-new collection! Like a precious jewel, Meola is a good decorative element with a discrete size. This piece designed by Delightfull fits perfectly on top of a sideboard or console. Its structure is handmade in brass, the lampshade in aluminum and the base made in foundry. And again, floral prints are the highlight. Try to combine them with mid-century modern pieces and sophistication will appear naturally without much effort. Wage on color and different designs and elevate your interior home ideas into another level. They’re handmade, elegant and refined. 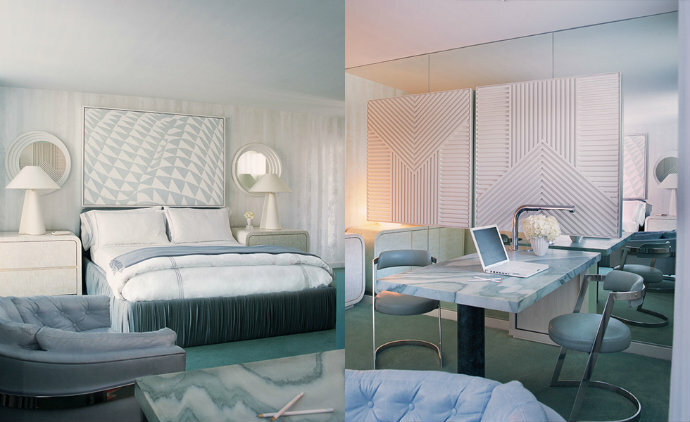 Geometric wallpapers with punchy colors are amazing. Once more, Chasing Paper is our suggestion. Try the Circle+Pop or the Tri-Angled design and be amazed with its applications! If you like interior design as much as we do, then you must follow the world’s most incredible interior designer‘s Instagrams. This way, you’ll always know what are the latest trends for a sleek home design – and welcome 2017 with a trendy home! The brand defines itself as “the cool cats of reinventing vintage lighting”. They’re here and they are definitely cool. Check them out for ideas and inspirations. “A limitless universe of inspiration” – those are not my words. That’s what they say. And they are absolutely right! 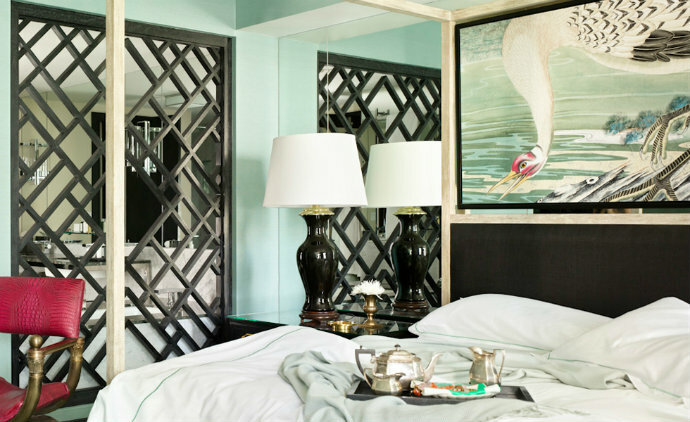 This Instagram account will certainly make you see how luxurious a home can be and we’re positive you’ll want your design to match theirs. Follow this online store’s Instagram to get the full scoop on the lastest home design trends. And the best part is that you can purchase your favorite items right away! They say “homepolish” won’t break your bank account… Well, looking at their Instagram photos won’t do it for sure! The thing you and House Designs have in common is that you share the love for sumptuous and tasteful interior decor. 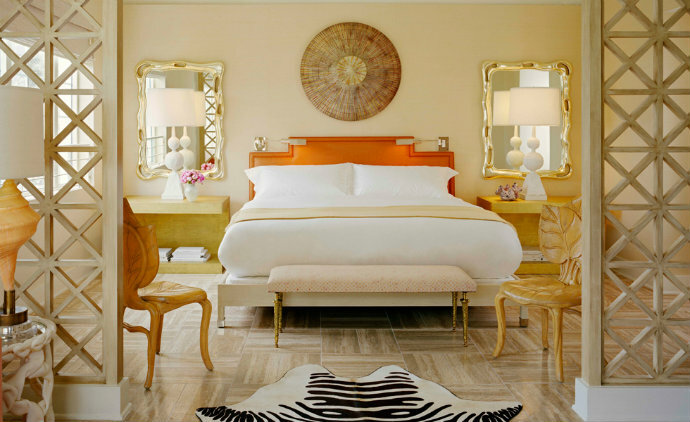 What other words can there be to describe Jonathan Adler’s works of art if not chic, jazz and glam? In and Out’s Instagram account makes you want to go into your house and never get out. She recommends us to “Insta her vibe”. And when Kelly recommends something – you know you have to follow her instructions! Doesn’t that name say everything though? Because we like a good challenge, today we bring you 10 living room designs that the designers themselves created for their own homes. A designer is often their own toughest client. Free from any homeowner preferences or restrictions, a designer’s personal space is the ultimate laboratory for their creativity and can be a calling card for their talent. The results range from over-the-top grandeur to sleek minimalism and showcase each designer’s signature aesthetic. At the Manhattan home of designers Nate Berkus and Jeremiah Brent, the living room’s 1960s American club chairs are upholstered in an Edelman suede, the mirror and woven chair are midcentury French, the marble mantel and pair of lamps are 19th century, and the kilim is from ABC Carpet & Home. B&B Italia sofas are grouped with Cappellini tables in the living room of Abigail Turin’s California dream home. White-oak paneling lines the New York City living room of architect Steven Harris and designer Lucien Rees-Roberts. A painting by Andro Wekua hangs between the windows in the living/dining room at Sara Story’s family compound in Texas. The slipper chairs in the living room of Celerie Kemble’s Dominican Republic retreat are from the designer’s line for Henredon. At the Long Island home of designers Vicente Wolf and Matthew Yee, framed photographs from Wolf’s collection—including images by Louise Dahl-Wolfe, Edward Steichen, and André Kertész—line the shelves above the living room’s sectional sofa, which is upholstered in a Janus et Cie fabric. In the family room of Alexa Hampton’s New York City apartment, a wall painted a Farrow & Ball blue displays images of architectural elements. The heart of designer Allegra Hicks’s apartment in Naples, Italy, is a long, high-ceilinged room divided into living and dining areas. The designer also created the Roman-shade fabric, the cut velvet on the wood-framed Jindrich Halabala armchairs, and the butterfly-specimen table at right; an 18th-century Venetian mirror surmounts the mantel. What appears to be a gilt-framed mirror in Timothy Corrigan’s Paris apartment is actually a window aligned with two mirrors, one in the living room and one in the dining room beyond. Corrigan highlighted the ingenious hall-of-mirrors illusion by installing matching Napoléon III chandeliers in the two rooms. The armchairs and the curtain and sofa fabrics are all from Schumacher’s Timothy Corrigan Collection; the stools are vintage Jansen, and the carpet is a Corrigan design for Patterson Flynn Martin. 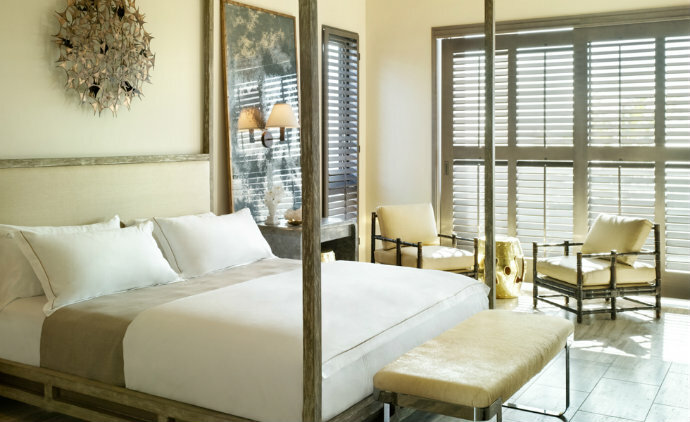 In the living room at the Mexico retreat of Andrew Fisher and Jeffry Weisman, pine beams highlight the ceiling, and the French doors feature curtains of a Duralee velvet trimmed with an ikat by Kravet. 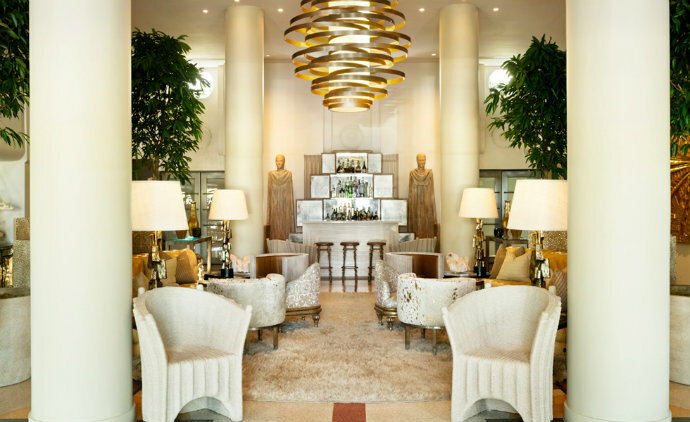 The world’s famed designers create exquisite living room interiors not only for their clients, but also for themselves. We’ve gathered a selection of the elegant and inspiring living rooms of decorators and architects, each filled with smart and stylish suggestions for your own living room ideas. The heart of the Allegra Hicks’s Naples, Italy, apartment is a long, high-ceilinged room divided into living and dining areas, each anchored by carpets designed by Hicks. The designer also created the Roman-shade fabric, the cut velvet on the wood-framed Jindrich Halabala armchairs, and the butterfly-specimen table at right; an 18th-century Venetian mirror surmounts the mantel. In Pedro Espírito Santo’s frescoed Lisbon, Portugal, salon, an 1860s Orientalist painting is flanked by foil bouquets. The gilt-wood fauteuil is antique, the cocktail table is Asian, and the needlepoint carpet was custom made. Surrounding a living room doorway in the Hamptons home of David Kleinberg are two Richard Serra prints, one displayed over a mahogany cabinet by Paul László; the photograph in the hall is by Alejandra Laviada. Twin French Art Deco zebrawood side tables are joined by Art Deco armchairs covered in a Rogers & Goffigon fabric; the upholstery throughout the house was done by Anthony Lawrence-Belfair, the throw is from Homenature, and the raffia rug is by La Manufacture Cogolin. The former Manhattan living room of designers Nate Berkus and Jeremiah Brent features circa-1970 Georges Pelletier ceramic lights above a vintage sofa by Afra and Tobia Scarpa for Cassina, a ’70s Jansen brass cocktail table, and a French steel low table; the vide-poche table in the foreground is a ’50s design by Jacques Adnet, and the windows are dressed with curtains and rods by RH and tassels found at a market in Thailand. At the Montauk, New York, home of designers Vicente Wolf and Matthew Yee, framed photographs from Wolf’s collection—including images by Louise Dahl-Wolfe, Edward Steichen, and André Kertész—line the shelves above the living room’s sectional sofa, which is upholstered in a Janus et Cie fabric. In Alexa Hampton’s New York living room, a detail of the Parthenon’s frieze, painted by Hampton, hangs above the custom-made sofa, which is covered in a Kravet fabric; the klismos chair is by Alexa Hampton for Hickory Chair, Louis XVI chairs flank the mantel (designed by Hampton for Chesney’s), and the Irish matting is by Crosby Street Studios. Lorenzo Castillo accented the drawing room of his Spanish retreat with a wallpaper from his collection for Gastón y Daniela; the vintage cabinet-on-chest is by Pierre Lottier. 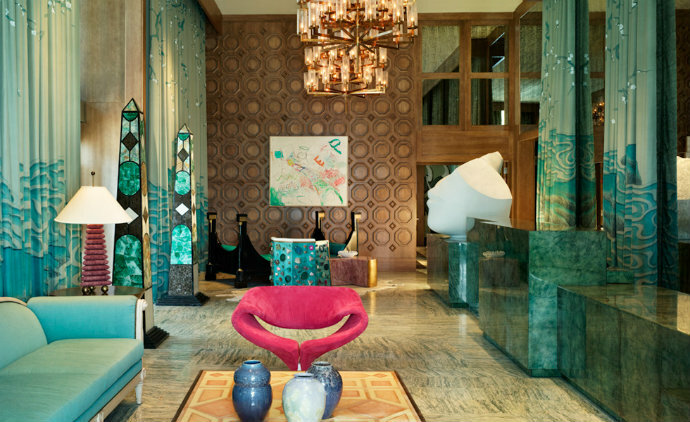 The Castillo-designed armchair at left is clad in a Designers Guild velvet, 1970s patchworks hang above the suede sofa, and the vintage cocktail tables were found at Paris’s Marché Paul Bert. In Holly Hunt’s Chicago apartment, a massive Helen Frankenthaler canvas faces a Louise Nevelson sculptural work across the living room. At center, a Holly Hunt Studio cocktail table topped with a John Chamberlain sculpture joins a Holly Hunt leather sofa cushioned in a Great Plains velvet and a pair of Paul Mathieu chairs upholstered in an Edelman leather; the floor lamps are by Christian Liaigre, the Tristan Auer ottomans are in a Kyle Bunting leather, and the rug is by Christian Astuguevieille. A custom-made Vladimir Kagan sectional sofa in a Great Plains wool nestles in the bay window. Designer Jacques Grange’s Paris apartment—once home to the novelist Colette—overlooks the gardens of the Palais Royal. The living room is furnished with a 19th-century chaise longue, club chairs from 1925, an 18th-century desk, and a Jean-Michel Frank armchair from 1930. White is one of 2016 trends so today we bring you a selection of white home design ideas that we know for sure that will be very helpful regarding your interior design projects in development. So please take a look at our gallery with some white ambiences to inspire you and your home! See more inspiring white ambiences for your home in the rest of this gallery. Fall is coming and we need to prepare our interiors for the cold and dark days that are approaching, so, a good selection of home design ideas could be a great help. That’s why we bring you some home ideas concerning the fall trends for this year. This article will guide you regarding the 5 trends you really need to follow: natural wood, leather, blue, statement lights and black & white. 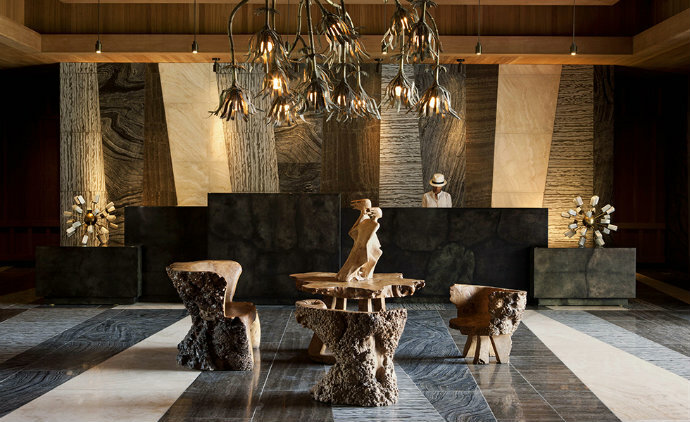 Natural wood is on the greatest trends this year. Is perfect to use in a minimalistic, Scandinavian or modern home design. Leather really is a noble material so get a leathered sofa or chair to your living room or a dining chair to your dining area. Serenity blue is one of the colors of 2016 by Pantone, but all the shades of this amazing color will be a trend. But let’s be honest, a statement lighting piece will help you a lot getting the perfect home design this year. Try as hard as you can and choose the best lamp. Black and White will always be a great combination. We really hope you loved our inspirations. Please, feel free to pin all the images. And don’t forget to explore our pinterest boards for more Home Design ideas and inspirations, as well as our twitter. Get more ideas for your interior design projects and find functional, stylish, sizable and trendy decor choices. 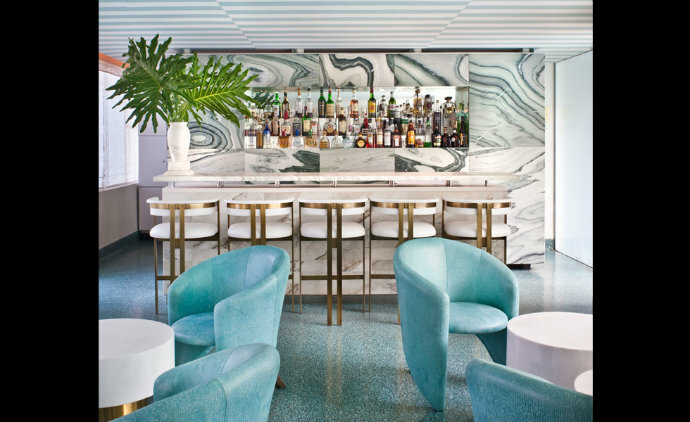 Los Angeles–based interior designer Kelly Wearstler’s bold, inventive sensibility has brought enchanting verve to chic hotels, shops and residences throughout the country. 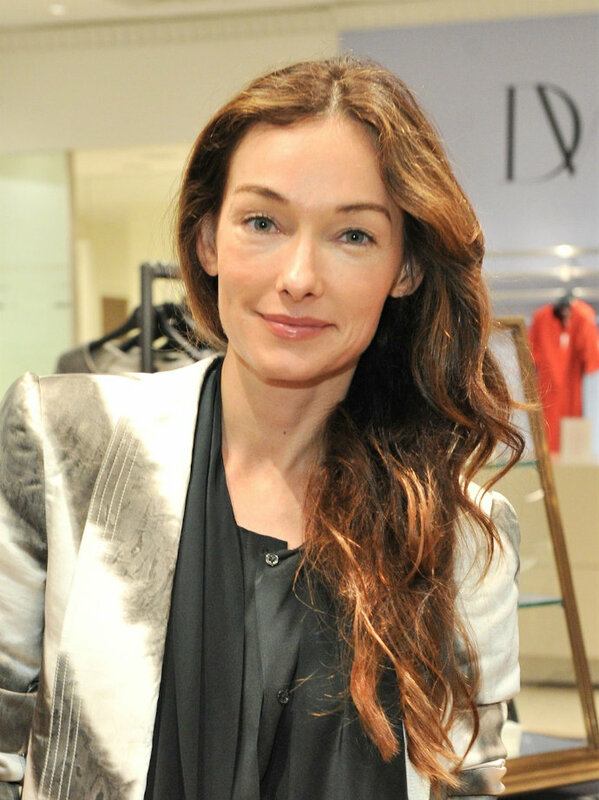 We’re totally down with Kelly Wearstler’s eccentric interiors, the designer brings her fiercely glamorous approach—high-octane patterns, gleaming metallic surfaces, and spirited colors. Kelly has been widely celebrated in the media for her visionary work, brought to life through her fearless use of vibrant color, and unexpected textural juxtapositions. 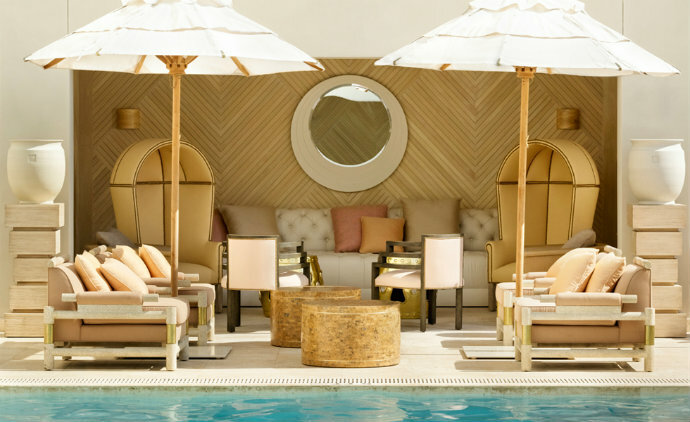 Over the past decade her take on the Hollywood Regency style has spawned legions of imitators, who continue to gravitate to her inspired mix of graphic patterns, luxe textures, and eye-popping hues. 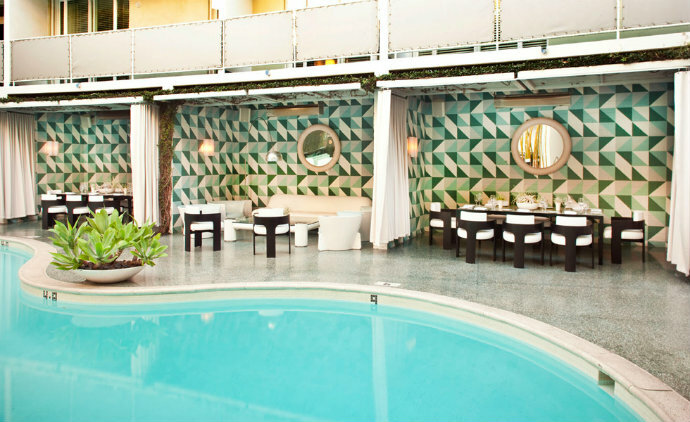 Originally built in 1949, Avalon Beverly Hills underwent its initial renovation in 1999 and merged Kelly Wearstler’s dramatic style with the glamorous nostalgia of mid-century design. 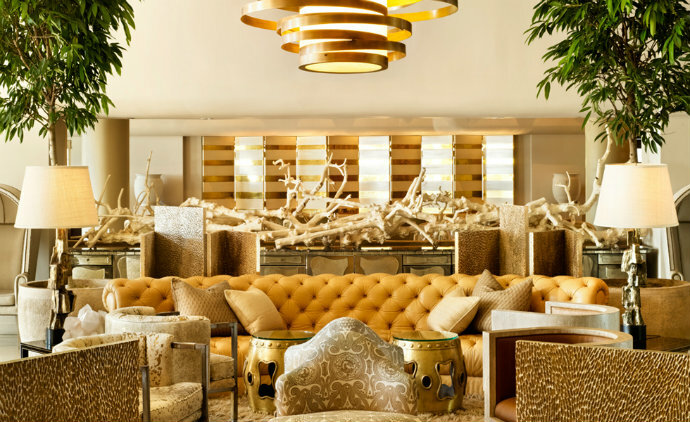 For the hotel’s 10-year anniversary, the designer has re-imagined the space, deftly blending its old Hollywood roots with a distinct 1950s vibe. 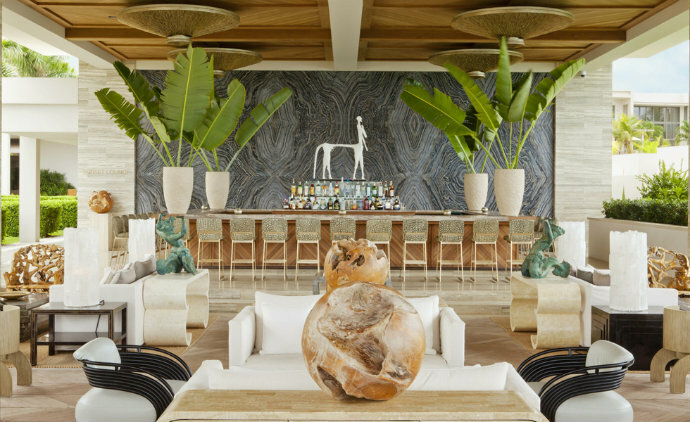 The 40-acre Viceroy Anguilla marks the first international location for the brand and Kelly Wearstler’s most textural interpretation of Viceroy style to date. 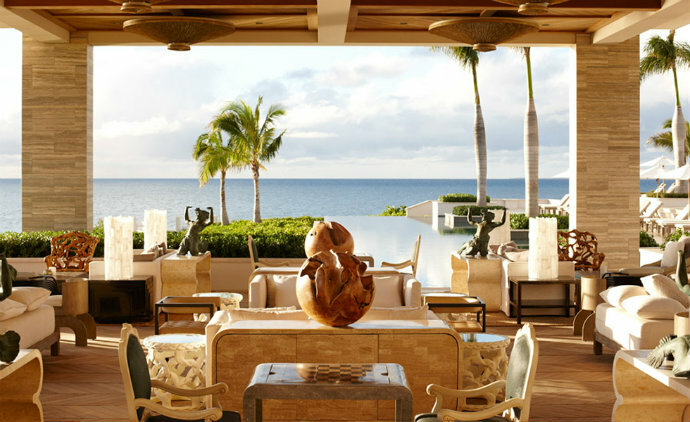 The expansive property provides a serene setting for its guests with the designer’s signature mix of organic elements. 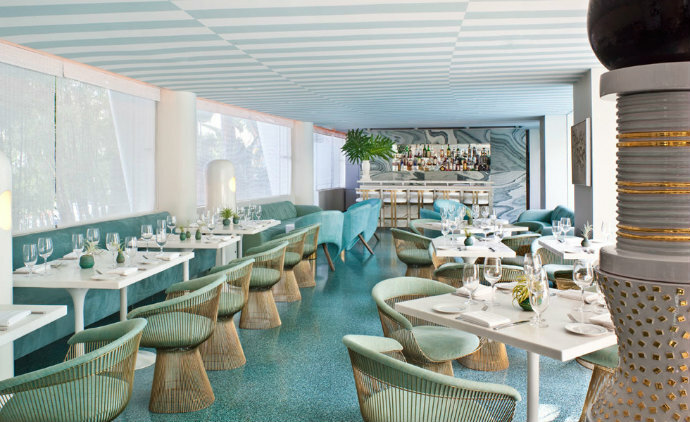 Hailed as one of Miami Beach’s first luxury boutique hotels, the historic Tides South Beach unveiled a fresh face and refined look in Summer 2008 when Kelly Wearstler completed her re-design. The Tides’ new look was inspired by its Art Deco roots and streamlined architecture, but infused with a fresh perspective. 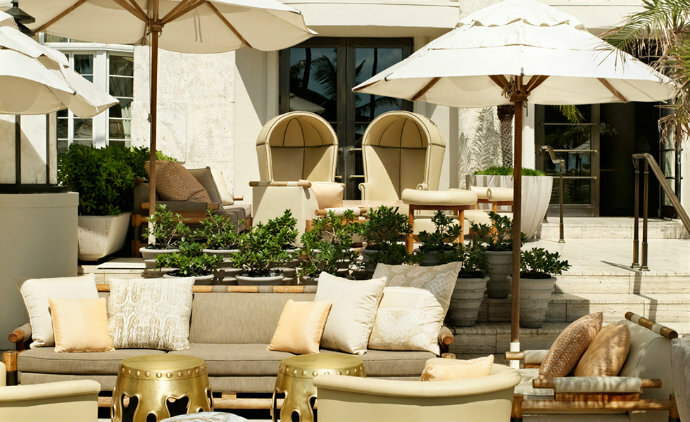 Viceroy Miami, a five-star urban resort and residence project within the city’s acclaimed Icon residential towers. 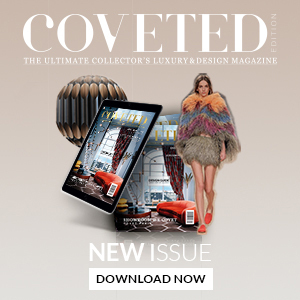 The project brings Kelly Wearstler’s renowned style to one of three luxury residential towers at the condominium complex, developed by The Related Group.